You just put your designs and we'll do the rest. With this and most of our mockups that are fully customizable, you will be able to create promotional visuals which are just perfect for your potential costumers. 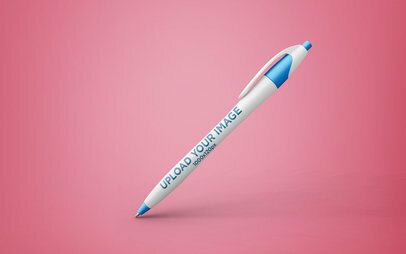 So start now with this amazing mockup of a stylish pen floating tilted over the background. Say goodbye to expensive and complicated design software! Placeit's fully customizable mockups are just what you've been asking for. This one, for example, is a simple and effective fully customizable pen mockup floating over the background which creates a stunning effect. Try this one and all the other mockups at Placeit, now! Create a successful branding strategy using Placeit's Mockups! Try out your latest brand identity design on this custom mockup of a pen. You can change the background's color to your liking and even leave it transparent. 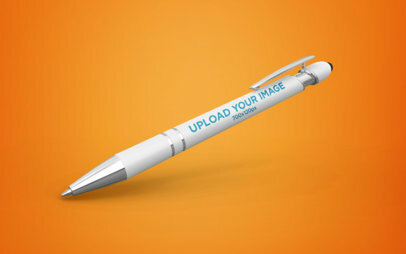 Create promotional and personalized pens at Placeit! Check it out! This is just the mockup you've been waiting for. It's an amazing new way of showcasing your pen designs! 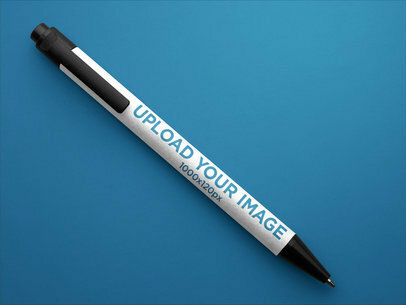 Just go ahead and start using this first-rate personalized pen render mockup tilted against a custom background. 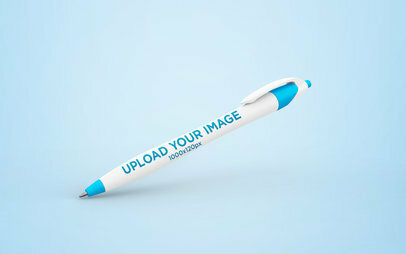 Improve your marketing strategy with attractive pen mockups from Placeit! Do you have awesome personalized pen designs you want to show off? Do it with Placeit! We create amazing mockups that are easy and perfect for anyone to use. 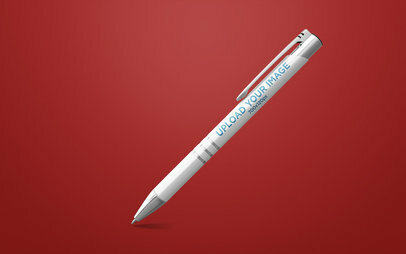 These custom pen mockups are super customizable, try it out now. You'll have the best promotional pens out there! 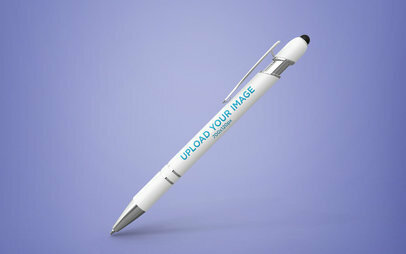 Take your corporate branding ideas into a real photo with Placeit's Mockups! 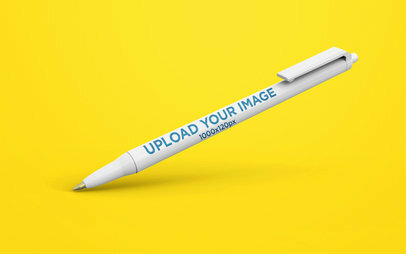 Add your own design to this pen mockup; the background is customizable and it can even be transparent. 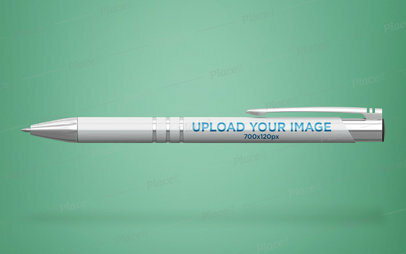 This mockup is perfect to showcase personalized pens and let your customers get the real look of their brand identity. Try it out! What's the best way of showcasing your original images in a simple and cost-effective manner? You know it! Placeit's amazing mockups are here for you to take advantage of them and start promoting your coolest designs to all of your audience right now! 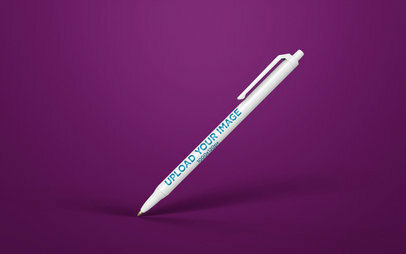 Start with this fully customizable simple and effective mockup of a tilted pen floating over a simple background! Can't you just imagine how your personalized pen designs would look like in a real photo? 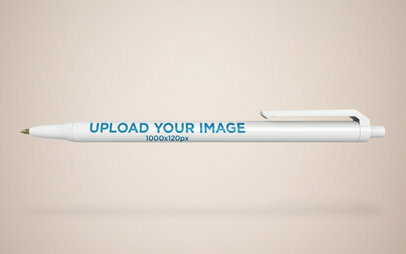 With this cool pen mockup, there's no need! All you have to do is add your designs in this pen mockup and you can see how your branding designs would look for all your clients. Awesome right? Try it out now and stop waiting! Looking for the best promotional pen designs out there? Why not make your own and see what they would look like on an awesome pen? Placeit creates amazing render mockups that are perfect for anyone. Like this mockup featuring a custom pen floating mid-air. Pretty cool, right? You can make the image your own and change everything about it! Try it out, it's easy. Are you looking for promotional mockups to showcase your branding designs? 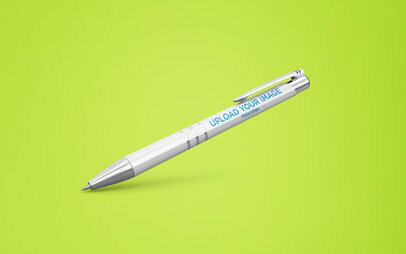 Check out this amazing pen mockup on a customizable background. Try out your pen designs and create individual personalized pens to attract more customers! Create your promotional pen now! Got a cool custom pen design you want to show off? Do it with Placeit! We create mockups that are super easy to use and don't require any expensive software. Like this mockup featuring a cool personalized pen. You can even change the background and pen color. Try it out, it's awesome! 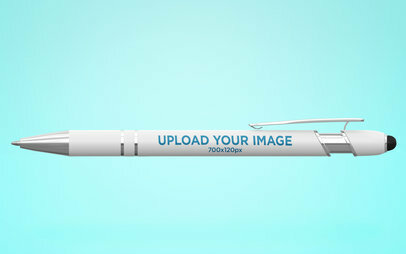 Edit your render pen mockup now. Are you into branding? Then try out this amazing render of a pen. It is fully customizable and ideal to create the best promotional pens with the design you want. Placeit has a ton of awesome Pen Mockups that are perfect for anyone! The best part of all, they're incredibly easy to use. Create a stylish pen within a few clicks! Think it might be time for you to upgrade your business visual marketing campaign? 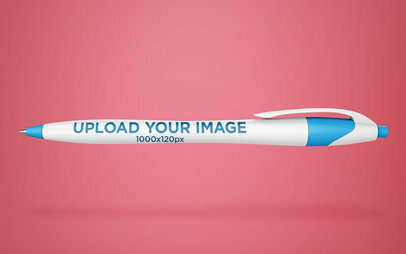 If you do, then this pen mockup might be just what you need to help you do it. To use this stock photo template all you have to do is drag and drop an image onto the pen or type in a URL and Placeit will adjust it for you. Creating visual assets you can start using right away as part of your marketing campaign had never been this easy before!